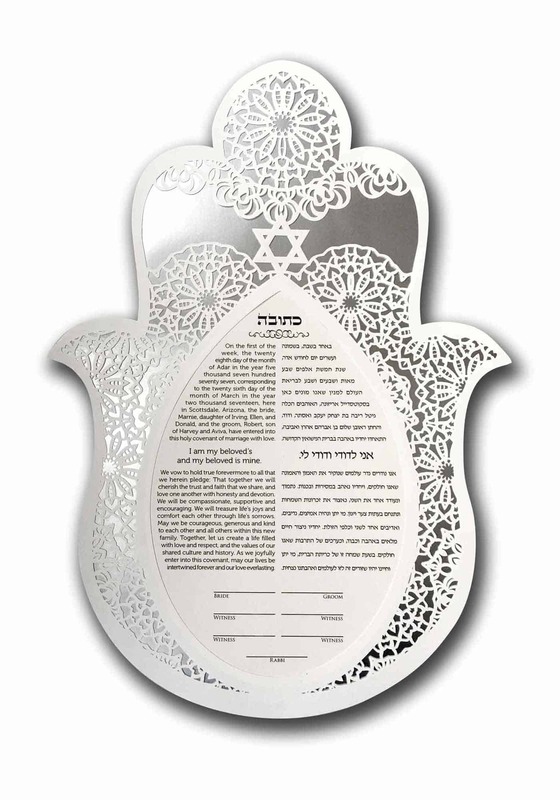 This exceptionally detailed Hamsa with lace patterning and sits on top of a reflective silver backing. 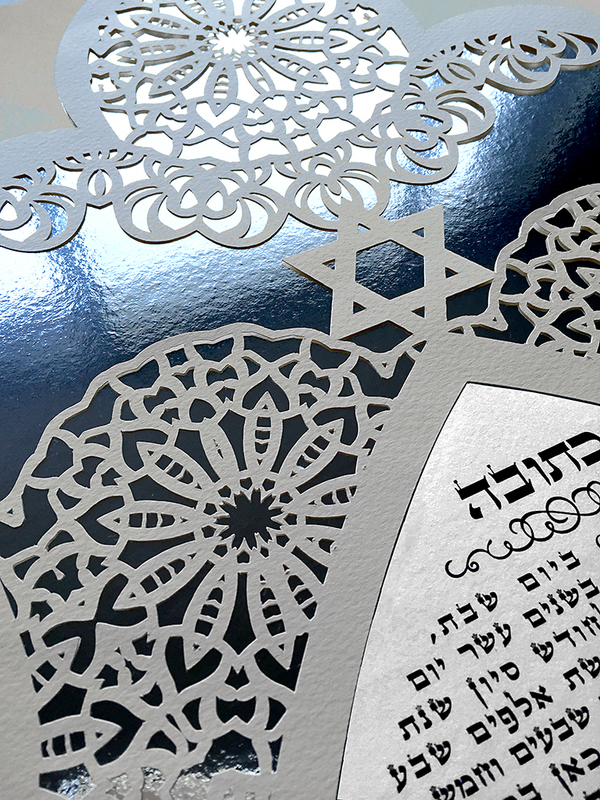 The effect is subtle and magical, and evokes the echoes of tradition. 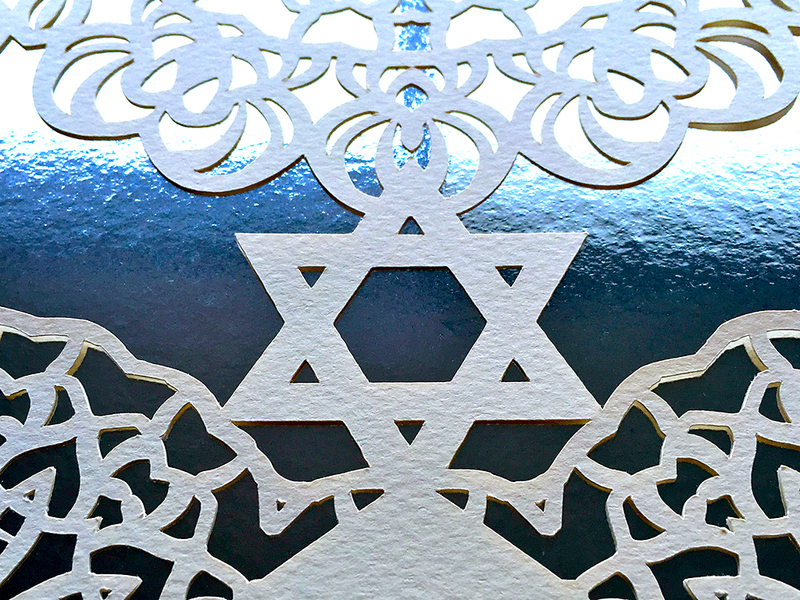 This design’s intricacy invites close examination, but is never overwhelming. 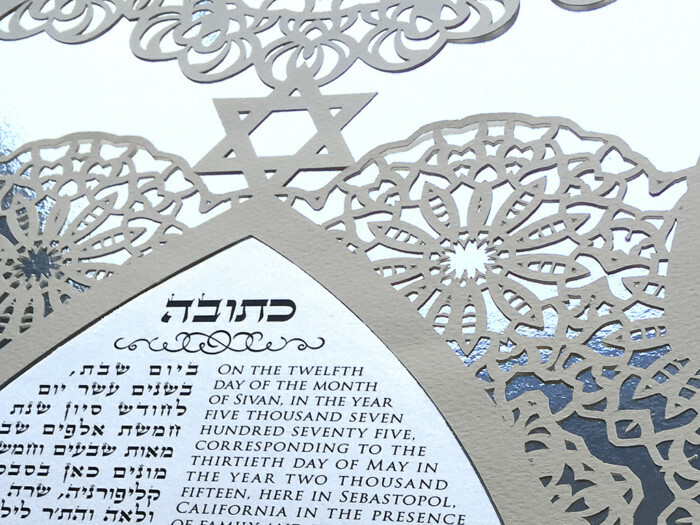 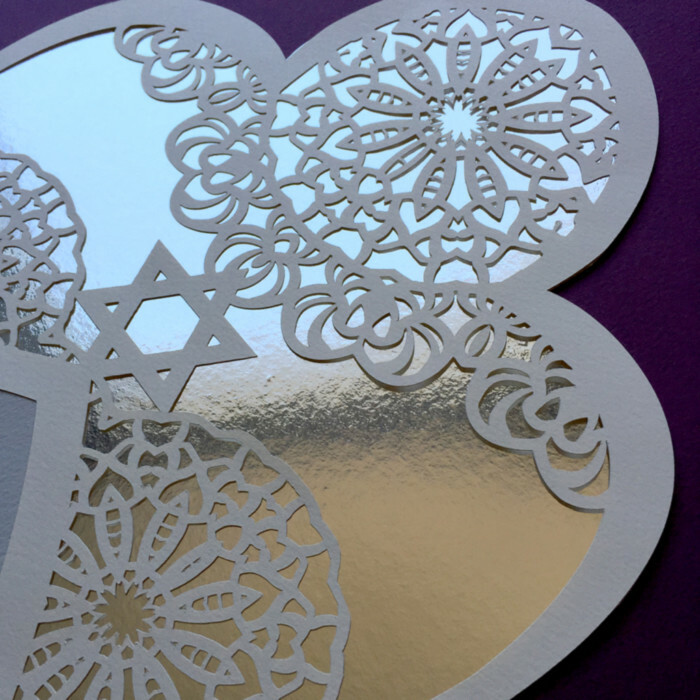 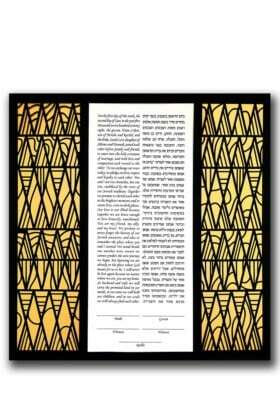 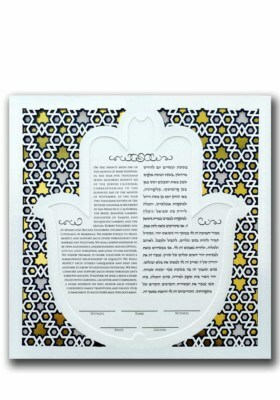 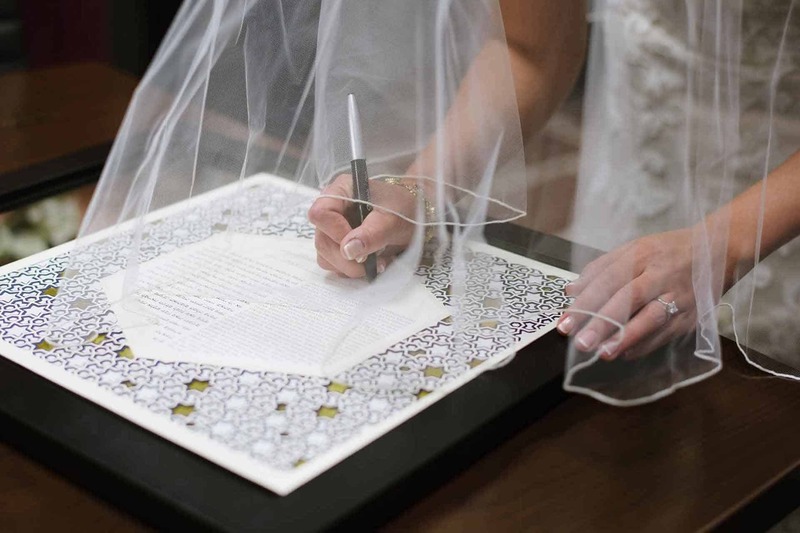 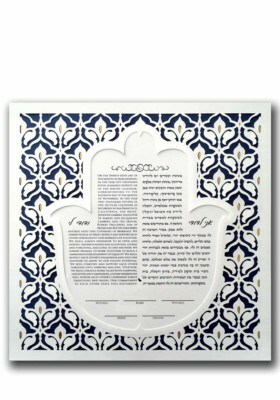 It is a classic and timeless ketubah.